Video: Radiation Shielding Products by Medi-RayTM, Inc.
Medi-Ray™, Inc. has been the hallmark of radiation safety since 1970. We specialize in the design and manufacture of precision lead components. We offer quality you can trust. Lead shipping containers are used for a variety of reasons. For instance, they are used to transport radioactive materials, to meet DOT compliance and transportation safety needs with a wide variety of proprietary coatings, plastic encasements and specialized linings in numerous shapes and sizes. Medi-RayTM offers a comprehensive line of lead shipping containers for all your shipping needs. Medi-RayTM has been the largest supplier of radio-pharmaceutical shipping containers since 1974. In over 30 years of product development, Medi-RayTM has revolutionized the design and production of every type of shielded medical containers. Medi-RayTM will fabricate uncoated containers and products which can be assembled into plastic or metal interior and exterior shells or forms. Custom pouring of lead into a customer supplied form is accommodated with shipment back to the customer within 24 hours. Medi-RayTM can provide exterior plastic encasements customized to the customer’s exact dimensions and colors. These containers have interlocking plastic lids and bases, with corporate logos and product identification symbols as part of the plastic encasement. 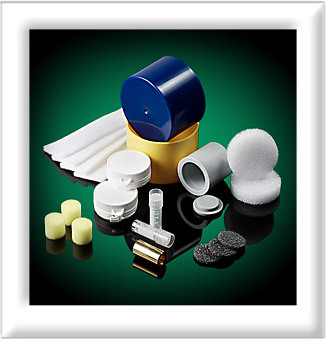 The coated lead containers utilized for radiopharmaceuticals normally have interlocking lid/base designs and can come equipped with bottle sponges and desiccant liners. The proprietary coatings utilized by Medi-RayTM guarantee adhesion with no cracking or chipping as are so often found with other companies’ products. Medi-Ray manufactures lead containers with interlocking features and leakage protection. Lead lined storage and waste containers come in many different shapes and sizes, and are composed of many different outer materials, the most common, being steel. These containers are used most commonly for the storage, and or disposal of materials that have been contaminated with low-level energy gamma radiation. This includes protection from contaminated syringes, as well as many other nuclides used within the field of Nuclear Medicine. The lead lined container comes with many benefits to individuals, as well as their surrounding environments. For example, they reduce the risk of accident or unnecessary radiation exposure to workers or the general public, and they reduce costly storage and maintenance. In addition, these containers are equipped with disposable plastic liners to allow the rapid and efficient transfer of radioactive contents. Here at Mediray, we emphasize the use of Lead lined storage and waste containers to minimize exposure to radiation, while maintaining a clean and safe environment. Lead bricks and interlocking lead bricks are be used for adding extra shielding to existing rooms. The Lead bricks produced by Medi-RayTM feature non-porous surfaces, which are clean and smooth. Our bricks are also brightly painted creating a wall which is safe and pleasant to the eye. Other uses for lead bricks include nuclear shielding, radioactive material shipping containers, ballast weight, and glove boxes. Medi-RayTM prides itself in meeting unique client specifications and requirements in the construction of lead bricks and interlocking lead bricks. Interlocking lead bricks are used in applications where the highest protection level of shielding is needed from Gamma, Beta and X-ray radiation. Interlocking lead bricks can be easily assembled, modified, deconstructed and relocated in various situations where protective cells and wall systems are required. We can also design these using specific customer applications. An advantage to interlocking lead bricks is their ability to prevent the leakage of radiation through spaces which are generally found in straight lead bricks. In addition, the interconnecting feature of interlocking lead bricks results in a sturdier and more stable wall system, ensuring that the wall created is firm and strong. Medi-RayTM has lead bricks and interlocking lead bricks available in a wide range of dimensions and weights for every customer’s requirements and specifications. Along with lead brick and interlocking lead brick capabilities, Medi-RayTM has many other custom services available.